Before we get all befuddled with the next holiday let's get lost in space!! 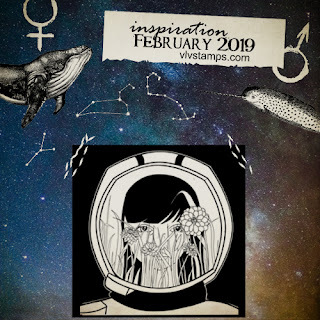 Our February inspiration board is spacy!! Michele here today with some spacy inspiration. 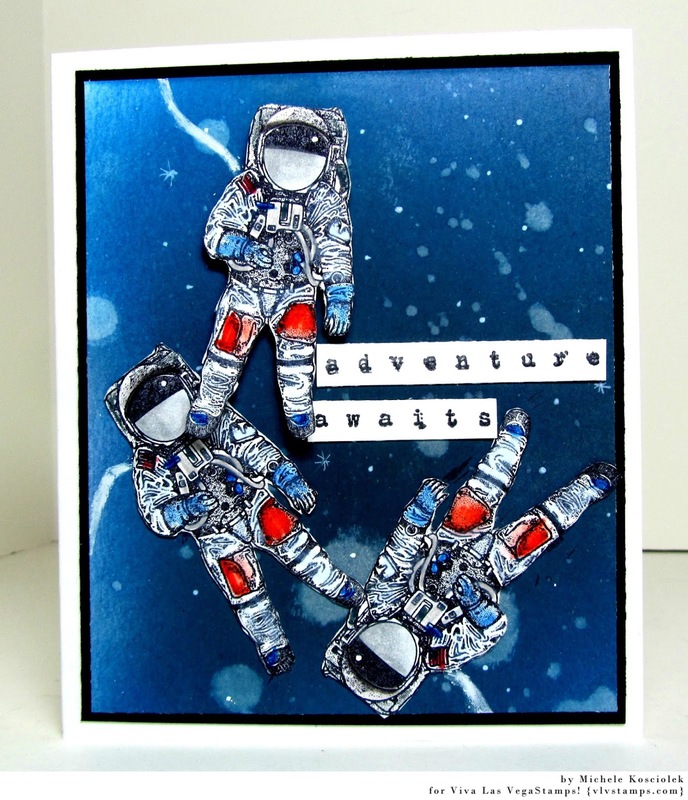 I created this any occasion card with a background that uses Distress Oxide inks, they blend SO good!!! 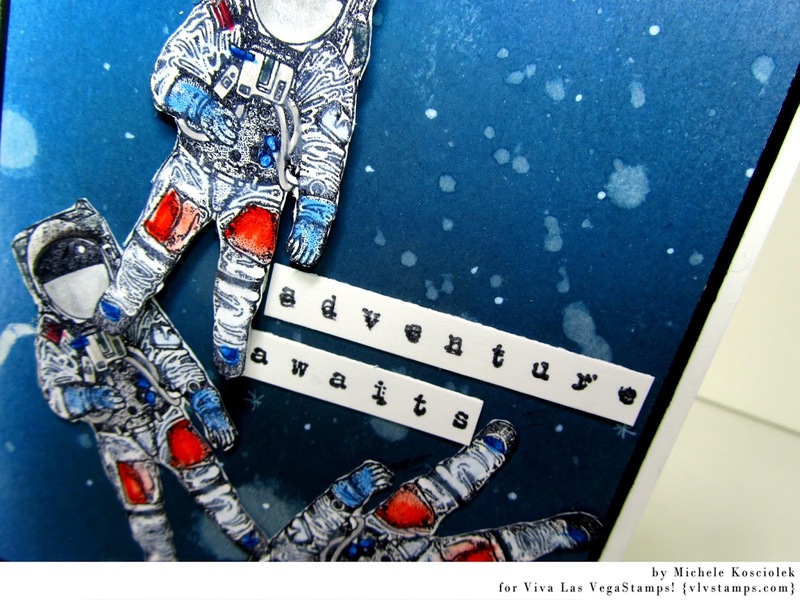 Some wateer splatters and 'stars' created with a white pen. 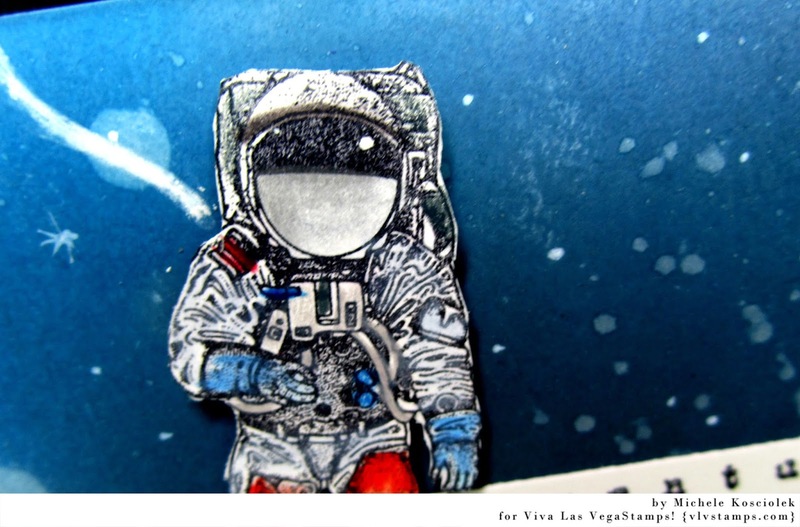 The astronauts are all stamped, colored and fussy cut to be adhered to the card, one is popped up for some texture. 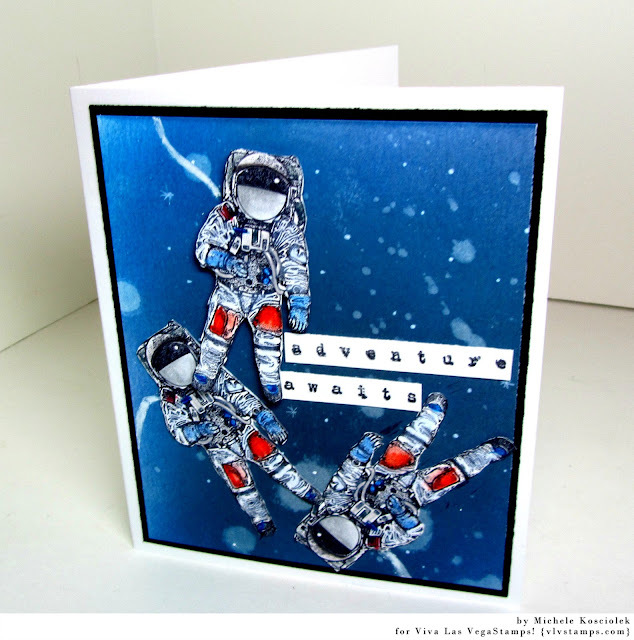 The oxides are perfect for creating galaxy backgrounds! All coloring was done with Prisma Colored pencils blended with Gamsol. Make sure you play along for your chance to win some fantastic red rubbah!! Link up here. Labels: Distress Oxides, michele kosciolek, Prisma Colored Pencil, ranger ink, Viva Las VegaStamps!, VLVS DT, VLVS!